Chris Davis, EA in Wolcott, NY, believes there is a significant need for personal financial help as it relates to business, income, sales, payroll taxes, credit, and so much more. In real life, our relationships affect our ability to make good decisions, complicating the kinds of decisions that should be made, and often leave us confused as to the course of action we should take. 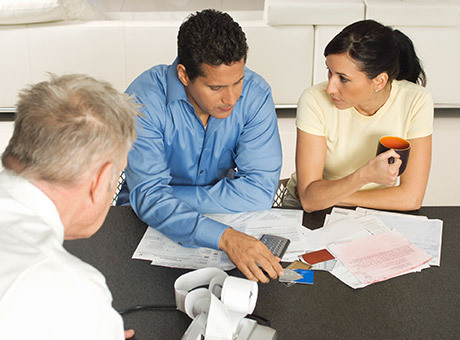 When this problem arises, who can you speak with to get sound financial advice? As a financial professional, Chris Davis can help you understand your personal crises without judgment and provide sound financial advice as a neutral party. From tax services to financial management, she can help you develop a plan for strategically handling all your financial needs and reconciling any tax issues. Serving individuals and businesses from small to large, her expert financial services will help you be successful in both your business ventures and your personal life. Chris Davis can assist you with income tax preparation services for both yourself and your business. She also offers tax amendments for any year and estimated tax calculations. As an Enrolled Agent, Chris Davis is able to represent you and handle all your dealings with any level of the IRS. Audits and other issues with the federal government can be scary, but not when you have her standing by your side. Chris Davis has all the necessary skills and abilities to help you expertly manage your money, both in your personal life and for your business. She assists with reconciling financial statements, payroll complications, and other such issues. If you are interested in starting your own business, but don’t know what steps to take your first call should be to Chris Davis. She offers business set-up consultations, and will walk you through the entire process of setting up your own business. Her extensive experience and exceptional knowledge of the financial world will help you navigate the often confusing world of finances. As an Enrolled Agent, she has demonstrated her technical competence in the financial world and are able to represent you before all administrative levels of the IRS. With many years of experience in the financial industry, she has gained incredible knowledge concerning personal and business finances. From taxes to finances, Chris Davis has the necessary skills, abilities, and knowledge to keep your business successful and to avoid unnecessary penalties from improper reporting procedures. She can also help you prepare your personal taxes and maintain personal financial success.